Could market economy status for China spell disaster for Europe? As China ascends to the highest planes of the world stage, and increases its business and economic clout, regions around the world are being forced to decide how they will interact with the what could be the world’s chief superpower in a few years’ time. So far, Europe has mostly welcomed China with open – albeit sometimes hesitant – arms. Since China opened up to the world, Europe has been an enthusiastic business and economic partner to Beijing, for the most part; European stores have long been stocked full of Chinese-made goods, while China has welcomed inward investment from European firms. Gone are the days when Enver Hoxha’s Albania was China’s only friend on the continent. 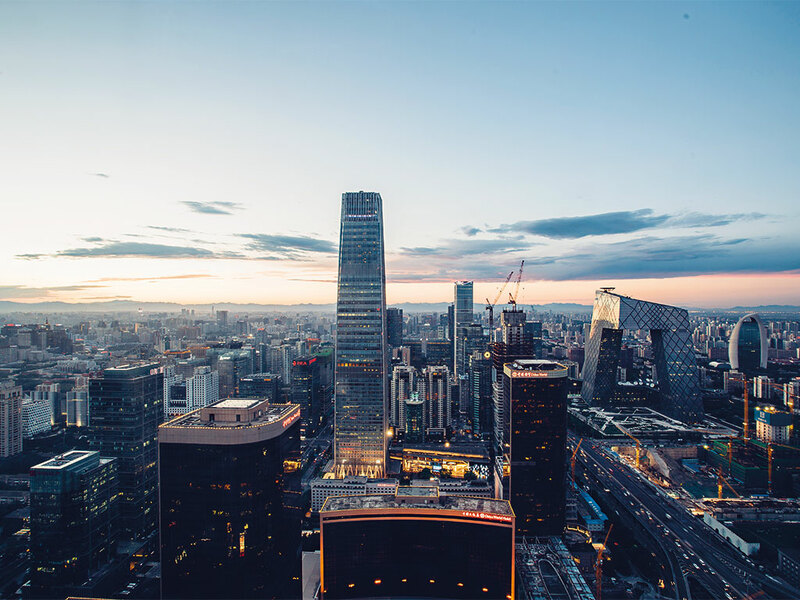 As China’s rise to market economy status (MES) becomes more and more likely, however, some European nations and business sectors are becoming concerned. The fear is that granting MES will result in China further undercutting business, with export practices that some claim are unfair, but many of these fears are exaggerated. The EU will still maintain a number of safeguards that will protect European businesses where necessary, while, at the same time, the status is likely to only be granted if China agrees to significant export strategy and economic reforms. Far from being a threat, this is in many ways an ample opportunity to encourage much needed reform in China, allowing business connections between it and the EU – and indeed other parts of the world – to grow deeper. When China joined the World Trade Organisation (WTO) in 2001, it was subject to a clause that allowed other WTO members to not treat China as a market economy. In justification of this clause, it was argued Chinese government policy had a greater impact on domestic prices than market forces. Now, as the expiration of that clause nears, there are concerns from some European countries that they will no longer be able to protect their economies against China’s allegedly unfair export tactics, damaging the continent’s economy. However, the protocols, which came into effect in December 2001, also stated these conditions would expire after 15 years – meaning that, at the end of 2016, they will potentially no longer apply. China considers the expiration of the clause to mean it will gain automatic MES, and this reclassification is an important part of the country’s status as a rising political and economic power. “For China, market economy status is a matter of prestige”, said a Beijing-based diplomat. This is likely to provoke some opposition from both the EU and the US, both of which penalise some Chinese goods with tariffs under the argument that China is engaged in unfair export practices. The authorities of these two economies allege the Chinese state plays an undue role in subsidising and regulating its export industries, and engages in export dumping. Under China’s current non-market economy (NME) status, the EU and the US both have the ability to impose tariffs upon Chinese goods, should they judge them to be in contradiction of fair export practices. The European Commission is yet to state its position on the issue, but European nations are likely to be divided between north and south. Northern European states such as Sweden, the Netherlands, Belgium and the UK tend to be more pro-China. Germany, whose position could be decisive, currently relies on Chinese trade to support up to a million jobs across the continent, making it likely to be in favour of reclassification. However, at the same time, many of these nations could see their own industries threatened. Southern Europe, meanwhile, is likely to be firmly opposed to MES, particularly due to the vulnerability of its textile industry, which has for years grappled with cheap east Asian production. Italy is leading the charge, with its Minister for Economic Development, Carlo Calenda, claiming the EU allowing China to gain MES – thereby removing the right to treat Chinese exports differently and calculate their prices independently – would be similar to asking Europe to unilaterally disarm. He warned of China attempting to remedy its problem of overcapacity by dumping goods in Europe. If China was to become classified as a market economy, it would become more difficult for the EU to penalise and protect against unfairly dumped Chinese imports. It would, Calenda said, place “entire industrial lines of our economy and our continent on their knees”. While they must be heard and respected, it may also be the case that many of the concerns with MES are misplaced. China’s manufacturing has, in recent years, steadily moved up the value chain, while its rising wages have forced textile manufacturing abroad to cheaper destinations in south-east Asia. There does exist concern over China’s ability to manufacture certain goods far more cheaply, but the overall hostility that comes from that ability is misplaced. The bigger concern is over Chinese production of high-value goods. Steel, at present, is the most obvious example, with the general consensus being that China is currently producing steel at below market value, crashing the metal’s price. This has, of course, had obvious ramifications for the UK, where many of the country’s large steel plants have been forced into closure due to their inability to compete on prices. However, opposition and fear among European businesses also appears to be overhyped. “Even with MES, the anti-dumping law remains very flexible”, said Bown. There still exist a number of ways the EU can prove Chinese firms are dumping, he explained. There are three definitions of dumping: firstly, “if Chinese firms are selling in the EU market at a price lower than the price at which the Chinese firms sell the same good at home”; secondly, “if Chinese firms are selling in the EU market at a price lower than the price at which the Chinese firms sell the same good in third markets”; and finally, “if Chinese firms are selling in the EU market at a price lower than their costs”. What’s more, even without certain anti-dumping tools, the EU would still maintain a number of effective methods to counteract unfair export practices. As Bown said: “Anti-dumping is not the only trade policy tool that EU policymakers have at their disposal. Even if MES makes the anti-dumping policy tool less valuable, if the EU investigated and found that Chinese firms had exports that were being subsidised by the Chinese government, the EU would still have the option to impose tariffs under its countervailing duty law.” Also, as a last ditch, “even if there was no evidence of dumping or subsidies, if EU industries were injured by surging imports, the EU could instead impose higher tariffs under its ‘safeguards’ law”. It seems most likely that China will only gain MES after sustained negotiations; rather than China automatically gaining MES, the consensus seems to be that it will only do so if it ensures a reform of its export practices. Cameron said he sees China gaining MES in 2016 “only as part of a deal whereby the EU has new anti-dumping legislation in place”. Bown agreed, noting that he finds it “highly unlikely that China will be automatically granted MES in 2016”. The most likely scenario would be that China’s MES is negotiated as part of a wider attempt by the WTO to reform the country’s economic practices. As Bown said: “The optimistic outcome has MES as part of a negotiated deal between key trading partners that treats the issue as a bargaining chip, linking it to other important trade issues currently on the agenda.” MES would “be a carrot to bringing China back to the negotiating table at the WTO”. There exists a whole raft of areas in which Europe, along with the US and other key advanced economies, would hope to force China to enact reform. “First on that list for many of these countries is for China to address the excess capacity in steel production that they feel is leading to a global steel glut, and depressed prices of Chinese exports they would argue are being dumped onto their markets”, said Bown. At the same time, the EU, WTO and US are all likely to attempt to push “China to continue to reduce the influence of state-owned enterprises in its economy through privatisation, and to provide additional transparency about these firms”. China is likely to be encouraged to liberalise further, and to make commitments on a host of other issues within the WTO, should it wish to gain MES. Alongside “getting China to take on serious commitments to liberalise under a potential Environmental Goods Agreement and Trade in Services Agreement”, noted Bown, there is even potential for “a future round of multilateral negotiations under the WTO once everyone agrees to fully put the Doha Round behind them”. At the same time, the EU and other concerned economies in the WTO are likely to secure tools to legally address any remaining non-market distortions within the Chinese economy, should they impact upon exports. Rather than being a potential disaster for European businesses threatened by unfair competition, China gaining MES should be viewed in a positive light. China will not gain MES without agreeing to a number of liberalising reforms. This will benefit both China and the global economy. With such reforms in place, European and Chinese businesses will also be in a better position to cooperate, deepening the growing connections between the two economies. This would be a benefit for all. At the same time, should China not agree to any reforms – or worse, renege upon any agreements – there still remain, both within the rules of the WTO and the EU, legal remedies to address any unfair Chinese export practices.